People living in the Tamworth area of Staffordshire are being invited to 'share the love' when a popular fun-filled family event returns to the town. The We Love Tamworth extravaganza will be back at the Tamworth Castle Grounds on Saturday 2 September with the promise of a jam-packed day of activities for the whole family. We Love Tamworth, which is a highlight in the town's annual calendar of events, is certain to have something for everyone with the activities and fun on offer ranging from fairground rides, stalls, games and inflatables to a dog show, impromptu raves, Tamworth's strongest man competition, and a parade by the local Mercian Regiment. 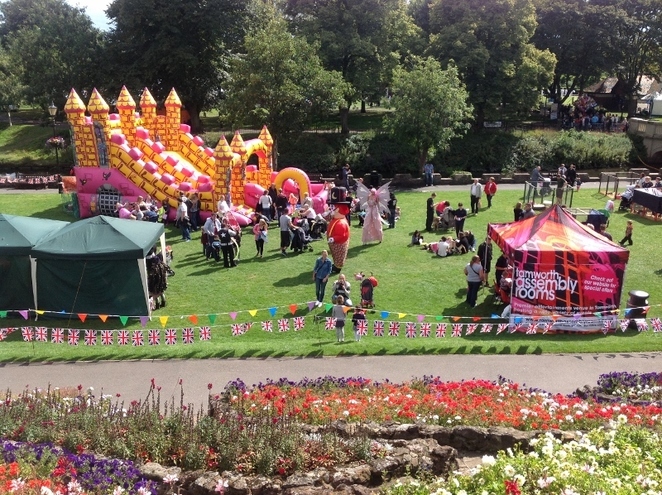 The We Love Tamworth event, which is presented by Tamworth Borough Council's Arts and Events team, is now in its fifth year and is hoping to surpass last year's festival which attracted a record-breaking number of visitors from near and far. At the centre of the festivities there will again be a special action-packed area to keep youngsters busy all day. 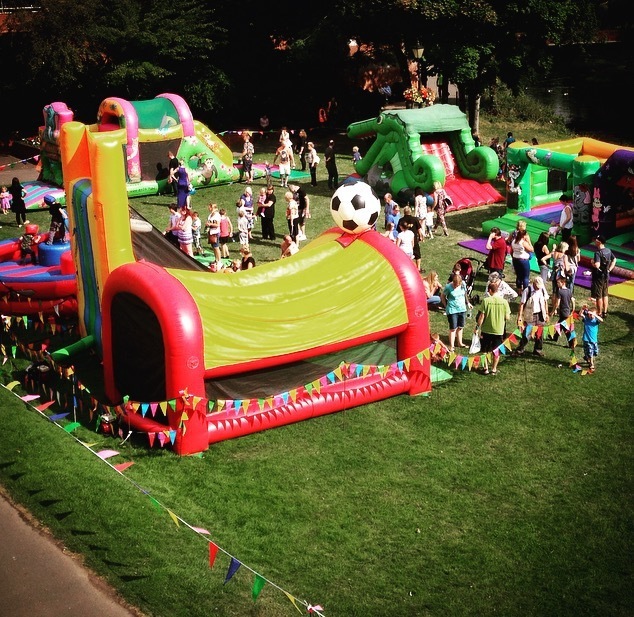 The dedicated Children's Zone will feature a variety of activities including walkabout characters, bouncy castles and slides, face painting, giant games and craft activities. Entry to the Children's Zone is £3 for children who are able to come and go as they please throughout the day. Adults can get in free of charge. As well as the usual popular attractions, this year's event will have the addition of Mr Wilson's Second Liners marching band as part of the Music Outside summer programme of free concerts. They will be going out and about in the Castle Grounds to rally impromptu raves with local community musicians and special guests. The stalls arena is again being run by Tamworth Lions club, which has been supporting local charities and causes for 40 years. A variety of stalls have already been confirmed including Relax Kids, The Fairy Dig Mother, The Pea Pod Family, St Giles Hospice, Staffordshire Wildlife Trust, girl guides, gifts, toys, refreshments, pet products and even Silverstaruk, a charity which will be conducting free diabetes tests. Any charities, businesses or organisations interested in booking a stall at the 2017 event can contact Mark Kyte at Tamworth Lions by emailing mark.kyte@tamworthlions.org.uk. Dog lovers are invited to enter their four-legged friends into the fun dog show, with a variety of classes competing regularly throughout the day. More information about the dog show is available by calling 0121 3130174 or 07894 644572. 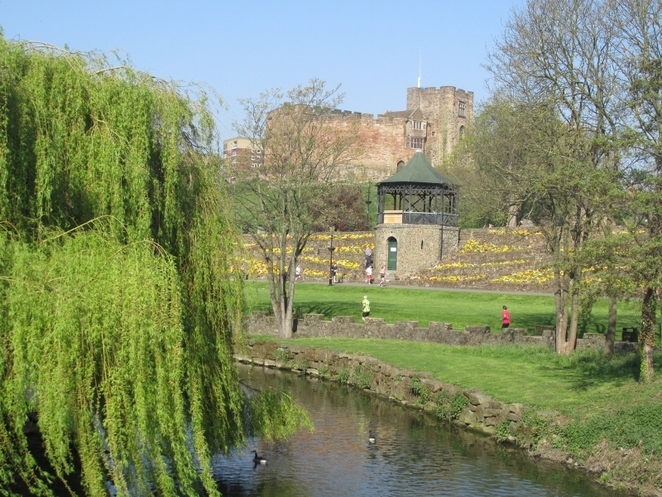 This is also the 10-year anniversary of the formation of The Mercian Regiment at Tamworth Castle Grounds and a special parade will be taking place to mark the event. Known as 'the Heart of England's Infantry', the regiment is one of the most decorated and operationally experienced regiments in the British Army. And if all that isn't enough, We Love Tamworth also coincides with the 24-day launch of the Focus 24: 24 Hours in Tamworth exhibition which has invited amateurs and professionals to submit photographs and video footage of the people, places, objects and experiences of Tamworth, at all hours of the day. The chosen photos – a total of 24, taken by 24 different photographers - plus the new film, 24 hours in the life of Tamworth, will be exhibited for 24 days, starting on Saturday 2 September, when they will go on digital display in Ankerside Shopping Centre. Councillor Joy Goodall, Tamworth Borough Council's Cabinet member for Environment and Culture, said: "We are delighted to be able to host We Love Tamworth again. It has become a great day out and a firm favourite among people of all ages. 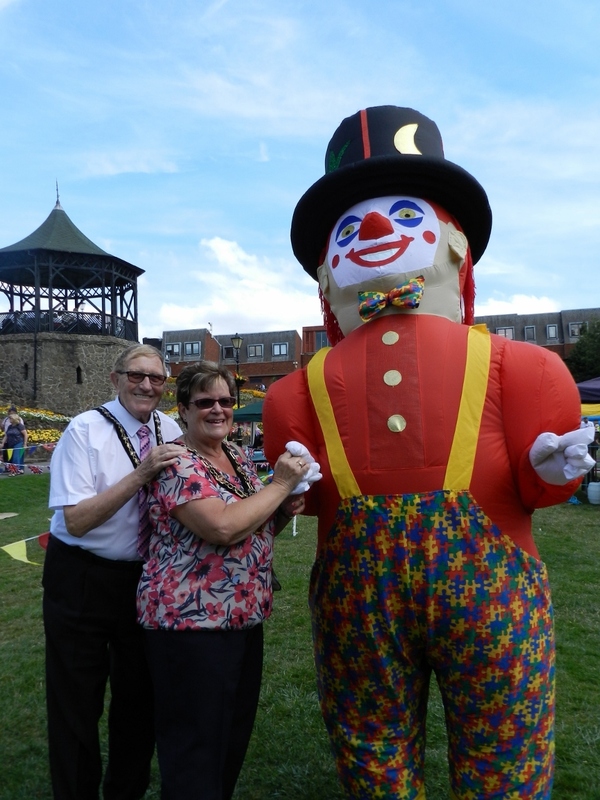 Each year the event grows more popular with local residents and visitors to our town. This year's event has all the much-loved features from previous years, as well as some really special extras, such as the Mercian Regiment parade. Mercian soldiers are renowned for their professionalism and courage, which is another reason for Tamworth to be very honoured that the regiment was formed here at the Castle Grounds. I hope Tamworth residents will pop along and take advantage of all the family fun." The fun kicks off at 10am and will continue throughout the afternoon until 4pm. More information about this, and all other outdoor events organised by Tamworth Borough Council, is available online here.